I was really surprised by Dara' performance in Poland. Starting from rolling on the wet road after the rain, it was about 10 meter below from the window which we were watching. I heard from her that it would be solo on the road, and when she enter the room, it would shift to the free resonance with others. I surely, had expected that she must enter the room from the door. Unexpectedly, not from the door, but she has climbed up the walls of the building toward the window which we were watching! Jumped and failed, jumped and succeeded to catch the edge of the window at the second attempt. And, she has been climbed up without disturbing even breath. People are surprised, when it was overturned expectations. And the trembling of Life leads to the novel beauty. She came down from the window to the bench, and started walking toward Kaska. They were staring each other, laughing and broke up. And she disappeared from another window. Events of 20 minutes, was crystallized clearly in the bottom of my Life. It is a big pleasure that is able to introduce this video at the site on the first day of the new school year. <Resonant Rhizome> is a dream for the future. We take off all conditions of contemporary "HUMAN" which is trapped in ego and self, and bound in the hierarchical order. Rhizome is able to connect flexiblly at any time, at any way, and can be separated freely. <Resonant Rhizome> is a novel experiment into deeper realm of subconscious body that the borders between individual and group, between subbody and cobody are disappeared. We continue to create a dance in the only Life Resonance. Here is no privileged generals, such as choreographer and artistic director. There is no room for existence of them. <Resonant Rhizome> is an experiment to be free from all traps of previous world, and begin to create a new world. it contains rich sprout of the way for the future society. People who know the fun of the experiment of <Resonant Rhizome>, may find the free way of play in the nature, outdoor, street and so on. It is the distant aim. We can encounter the unknown Qualia which we have forgotten in the modern daily life, and unexpected subbody=cobody will come out. In this year of the Subbody Resonance Butoh School Himalaya, will open a new horizon to make this <Resonant Rhizome> with <Weakened bodies>. The wellhead was found in Poland after this experiments in Spain. It is to wear the Cloud of Qualia which can not recall memories, dreams and delusions in the Hidden Skin of the body. Tatsumi Hijikata suggested it as the <Clouding Body> in his "Sick Dancing Princess". The technology to be the <Clouding body> has been found in Poland workshop a last. This year, in The Subbody Resonance Butoh School, after the long struggle of fumbling in the Himalayas during this two decades, the last one of the form will come appeared. I wish you to watch warmly. In Poland Kaska who was organizer asked me to focus on "Sick Dancing Princess", and I guided participants into clouding body by various new methods. We danced in old Polish house and nature with using this method. It was a big harvest, all participants's bodies changed remarkablly. We will deepen it in the second semeter. We finished all Europe Resonant Butoh tour -Italy-Hungary-Spain (Madrid-Almeria-Spanish Himalaya-Barcelona)-Poland with profound harvest. Thank you very much! See you next year! Tomorrow I return back to India.Slowly we upload the pictures and videos. 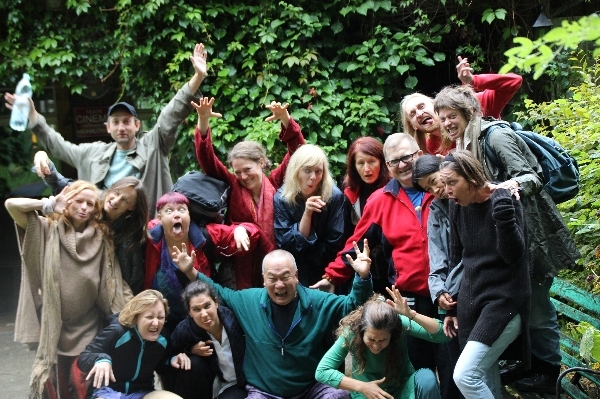 Second semester of Subbody Resonance Butoh School starts on Monday 5th Sep! Now we are building the second studio for beginners course and midwife training course for old students. Wait for a while! Resonant Rhizome is a novel experiment into deeper realm of subconsciousness body that the border between individual and group, between subbody and cobody are disappeared. We continue this experiment and deepen it. 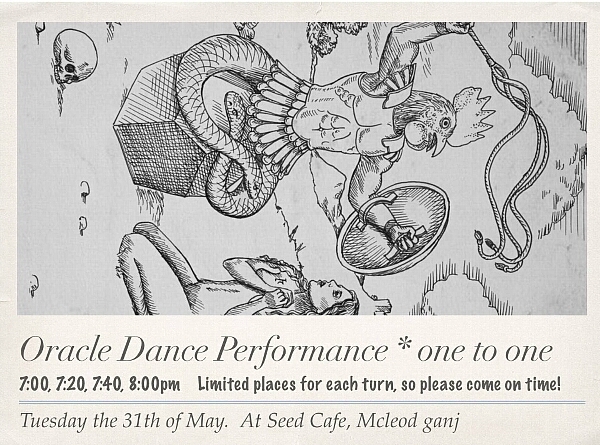 It is neccesary step to enter the unexplored Butoh world of "Sick Dancing Princess" by Tatsumi Hijikata. We need to take off all coditions of modarn human including the identity, ego, self, thinking and judgement. In the Spanish mountain, we danced a lot, in the studio, forest and stream developed from last Summer. The progression is that a little bit we can be oneness than ever. We will deepen it for ever. The Resonant Butoh Toue Europe, the 1st place is Piedenterra, Italy. Old students Chiara and Franchesco built a mountain resort on the hill. Their new house was almost completed. Their daughter, Nina grew up to 5 yers old pretty girl, though the last time she was just baby. We danced at the open air studio in the Piedenterra, and the river, forest and so on. In the River Sati Gio guide to find each one's teacher arounf the river and we shared it together. We started from listening to subtle Qualia. 12th Himalaya Butoh Festival starts today! Performances are held at various places at Dharamsala town. We experiment new Nomad Rhizome Festival. Workshops and performances are free of charge. 1.5 million viewer on YouTube!